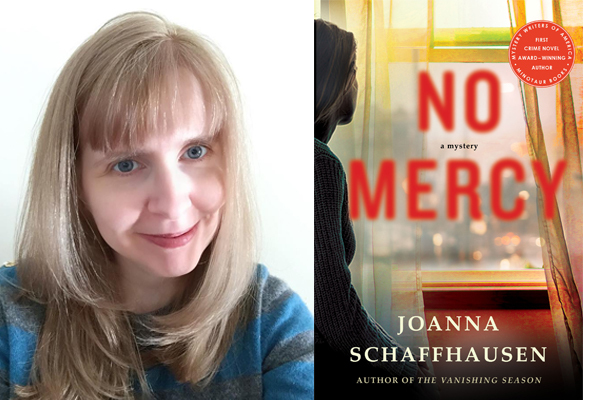 ABC News writer, Joanna Schaffhausen, is coming to An Unlikely Story for a crime themed evening with her new mystery novel, NO MERCY, a follow up to her award-winning, THE VANISHING SEASON. What better way to spend the evening than with a good mystery and a glass of beer or wine? Joanna Schaffhausen wields a mean scalpel, skills developed in her years studying neuroscience. She has a doctorate in psychology, which reflects her long-standing interest in the brain—how it develops and the many ways it can go wrong. Previously, she worked for ABC News, writing for programs such as World News Tonight, Good Morning America, and 20/20. She lives in the Boston area with her husband and daughter. She is also the author of The Vanishing Season.